DECA, which has been in existence for about 70 years, is an international program that helps prepare students for careers in marketing, finance, hospitality and management. The La Porte chapter is among 3,500 around the globe. To qualify for state, students had to take a test, then perform a business-related role play in front of a judge. Students with the highest total advanced to the next level of competition, according to DECA advisor Chad Pruitt. 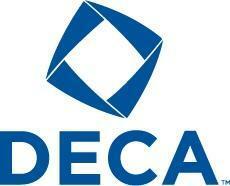 La Porte DECA also won the organization’s Achievement Award for increased membership for the second straight year. The state competition is set for February 21-23 in Dallas. Students who win state will qualify to advance to the DECA international competition, which involves China, Germany and Canada, among other countries.